Remember a couple weeks ago when I was scheming ideas for our ceremony backdrop? Now that the wheels are turning there I'm turning my attention toward the venue entry to see if I can repurpose some of the DIY elements. While I love love the inside of our venue, the exterior is pretty quiet from the street. Its a sleek black storefront on an urban street. I don't dislike it, but I think i'd like to add some elements so that our guests will know that they're entering our event from the street. I've pulled some ideas of elements we might like to add. Since we have an urban venue, I'd like to find a way to interpret some of these more rustic ideas into something that will make sense for the surroundings. I like the lights in the image above to lend a vintage theatrical vibe to the entry. We don't have an overhang, but perhaps we could find an element to build upon. I also like the idea of a beautiful sign to bring in some of the design elements we've come up with so far. The benefits of our venue entrance are a wide clear sidewalk, a sleek painted storefront and display windows (which we can decorate). [Thats an actual shot of our entrance below] I'm thinking of adding some simple colors to the windows, and outside flanking the entry with some greenery and bold shapes. Perhaps some acrylic shapes mounted to a sleek black archway? I've wanted some large fiddle leaf houseplants, so I'm thinking of buying them for the big day then giving them a sunny home in our living room. And who can resist a giant balloon? Can't wait to see how we can make these all come together. I'm obsessing over leather when it comes to fashion, interiors and of course weddings! It is a whole new approach to the rustic wedding that we all know and love. Leather can be incredibly sophisticated with a little calligraphy action. Gorgeous right? 1. That calligraphy menu is just to die for. 2 & 3: Jose Villa's wedding had one of the best invitation suite's ever. The mix of organic textures, calligraphy, and of course leather is making my hear skip a beat. Similarly. those place cards from their wedding were so sophisticated. 4. These notepad favors are such a perfect touch for a beautiful wedding. I went back to our pattern and decided that maybe I would just do the simplest thing and re-create it in a larger format, with several types of hanging garlands. Globe lights (which the pattern was designed around), pom pom yarn balls for the colorful circles, a bold geometric garland, and maybe even the paper airplanes that are a nod to our long distance relationship. I think a few of these garlands hanging side-by-side or overhead would be just the focal point I'm looking for. What do you think? Is it too much, or just enough?? Today I get to show off my invitations! I worked with graphic designer and E&I blogger alum, Kimberly Roth, to create my invitation suite. I love how they turned out. Along the way, I feel that I really solidified the vision I had for my wedding. We pulled inspiration from the location - Mount Hood, Oregon - by featuring the mountain, the muted lavender color from the lavender fields in the area, and the overall whimsical feel. I also got a chance for some DIYing. Kimberly designed and coordinated having stamps made for our 'belly band' and return address. During a visit to Paper Source, I realized embossing with white would show up much better on the Kraft paper than just a white stamp. Embossing is really fun and easy (but time consuming when you are doing it for 100+ invitations). After embossing, I folded each belly band around the invitation and secured it with a strip of double sided tape. One of the most fun things I've done so far with wedding planning is starting a group pinterest board to let friends and family share ideas they came across. When I first got engaged, people close to me started e-mailing inspiration and I knew I needed to come up with a way to keep it all organized so that I could access it when it came down to deciding on the details. So, I started a group pinterest board and sent out an e-mail that if people would like to be involved to let me know and I'd invite them to pin to the board. A couple months later and we're having so much fun with it! Obviously I've kept my own boards (since I don't want to bombard the group board with the crazy amount of pins I've amassed), so this has been a fun way to separate out the things that other people find that I haven't seen. The most awesome thing about it so far is seeing how your friends see your style. So far, everyone has been spot on pinning things I really like and ideas that I think are really creative and fun. Its a really cool feeling to feel like over the years you've developed a style that people have picked up on and that they're so excited about sharing images that fit in with that aesthetic. Its also been a really helpful way to have bridesmaids sharing ideas about dresses, shoes, hair, makeup, etc all in one place so that we can keep the long e-mail chains to a minimum. People can Like or Comment on pictures they find especially pretty and that gives me an idea of what my girls would like once we get down to finalizing options. These are all images that friends and bridesmaids have pinned to our board, and even though I get sucked into a ton of blogs, these were all images I hadn't necessarily pinned myself. Its fun to have a lot of sets of eyes out there in the universe to track down inspiration that might be outside of my usual network. Plus, I think they all fit together with our inspiration board really well. If you're the type of person who gets overwhelmed with too many options, this might not be the road for you, but for me its been a terrific way to keep other people's ideas organized and to start a little wedding inspiration community during the beginning of getting this thing planned! Now that we've finally ordered our invitations, I've been thinking about how all of our paper goods will tie together. As I've mentioned before, we are huge foodies, and are serving our meal family style. Because of that, we want to be sure to highlight the meal in a beautiful and clear way, that will illustrate all of the food on the table. We are still working on finalizing the menu with our caterer, but I love the idea of vintage, elegant menus that complement the mixed metallics and soft flowers of our tablescape. Here are a few options that I'm loving this week. Planning a Wine Country Wedding, Part 3: Where did you get that? As an event designer, one of the questions I’m asked most by both clients and wedding guests is where I find all the unique elements — from the perfect dinner chairs to the adorable ring bearer’s pillow — that make a couple’s wedding uniquely them. For wine country weddings, you typically want thoughtful details that beautifully bridge both rustic and elegant looks. Here I share some of Esla Events' favorite sources. The Aerialist Press. They offer beautiful designs – both house and couture collections, and are two of the nicest people you will ever meet, who are inspiringly passionate about what they do. Little Miss Press. She offers beautiful stationery design AND stunning calligraphy. Getting your invitations designed, printed, and addressed all in one spot? Can’t get any easier than that. Save on Crafts. For all you DIYers out there, this is a gold mine for materials. From candles to moss to baskets, this national site’s warehouse is located just down south in Watsonville, so getting your items is very quick and easy. Pressed Cotton. One of my new favorite sites for special little details. The products are tastefully done and well curated. BHLDN. While some items are overpriced, sometimes you just can’t find that perfect coral cake stand anywhere else. Great for items you think you’ll want to keep long after the wedding. Etsy. And no list can be complete without this “DIYer outsourcing” site. Sometimes it takes some patience to dig through all the postings, but usually you can find the perfect item at a great price. Miette. A San Francisco classic, this store just makes you happy. If you can incorporate some of their jaw-droppingly beautiful cupcakes and macarons into your dessert table, do. Batter. One of my favorite sources for baked goods. Delicious, unique, and beautiful. Candy Warehouse. There isn’t anything that glamorous about this site or source, but it’s a lifesaver if you’re trying to find a range of candies in one particular shade. Hartmann Studio Rentals. Tip: They have one of the best shrubbery collections in the region. So if you need some olive trees or boxwoods to help define large outdoor spaces, and make ceremony spaces more intimate, this is the place to go. Wine Country Party & Events. 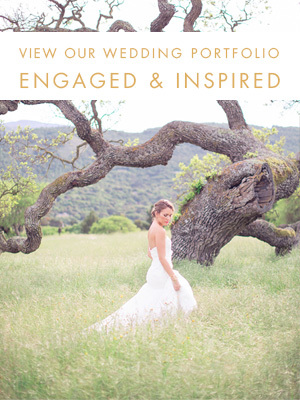 Not surprisingly, their inventory is geared beautifully towards the rustic yet romantic and elegant look of Napa and Sonoma weddings. Classic Party Rentals. Looking for a great dark-wood farm table? They rent them for $85. Also, their benches and Descanso lounge furniture are quite popular with my clients. For fans of mid century modern, industrial, and custom design rentals, keep an eye out for YEAH! Rentals and rEvolve (site coming soon! ), who will both be expanding their presence in the Bay Area this coming year. One True Love Vintage Rentals. Incredibly tasteful collection, with exceptionally beautiful pieces for lounge vignettes. Heritage & Craft. With a beautiful selection of vintage goods, they also are able to craft custom pieces for you. MilkGlass Vintage Rentals. Her selection of tables and glassware are fantastic, and she also can help you create a customized piece to perfectly suit your needs. Wine Country Party’s Circa. Need to try and get all your rentals from the same place to avoid multiple delivery charges? Wine Country Party has a Circa line of vintage goods, so you can get 150 standard white plates and 5 wooden crates for styling your dessert table all in one place. Napa Valley Linens. Amazing customer service and a constantly updated and beautiful selection of linens. La Tavola. My clients go crazy for their Tuscano line (which are linen linens). Beautiful understated elegance. They have showrooms in both Napa and San Francisco, making sample viewing a snap. Happy hunting for your perfect items! This week I am happy to report that we can cross our Save the Dates (or STD's as we like to call them) off our list! What I thought would be a simple project somehow turned into a 2 + month project. When we mailed these out on Valentine's day, I finally started to feel like we are making some progress. We wanted to do something original so we asked a family friend to draw an illustration for us. We couldn't be happier with the way they turned out! Now onto the other half of my dress! Did you design your own Save the Date? How did they turn out? Laurel here from Esla Events for the next installment of our Wine Country wedding series. This week’s topic: designing and styling your big day. There is no shortage of inspiration out there these days, from blogs to magazines to books (my current favorites are this one and that one). So instead of getting into the style of your design, below I provide some tips to consider when styling your designs. None are rocket science but, as any bride can tell you, it's really easy to get so deep into the specifics of your idea that you overlook some styling basics. Think of this as a 7-point cheat sheet for taking your designs from concept to execution successfully, and for getting yourself unstuck when needed. 1. Ask yourself, “What’s behind it?” Sure, you’ve considered the backdrop for your ceremony, but what about your dessert table? Your head table? Your bar? You’ll want these to be in convenient locations that makes sense for access and flow, but don’t forget about the overall visual experience. If there isn’t a gorgeously textured barn wall or natural feature to help frame the component, create one by hanging something (see point #7). 2. Incorporate a few specialty pieces. One of the easiest and most surefire ways to enhance the look of your day is to rent a few signature items. Even if you don’t have a huge budget, focusing your limited dollars on one or two additions or upgrades can really help elevate your aesthetic. Some favorite strategies include: creating a lounge area with beautiful vintage pieces from One True Love, Heritage & Craft, or Milk Glass, upgrading your napkins and dinner table linens to La Tavola’s Tuscano line, or switching out basic folding chairs for crossback chairs, available at Wine Country Party, Hartmann Studios, and Classic Party Rentals. 3. Use varying display heights. Use stands, wood crates, or other props to create height on your various stations and display areas. Not sure how to do this? Just check out your favorite boutique or coffee shop for ideas on how to execute this well. The end result is a more friendly, engaging, and visually pleasing design. 4. When in doubt, use the rule of three. Most items look better in clusters of three, especially when they’re varied in height. Not sure why, they just do. 5. Consider the white space. In addition to figuring out what should go where, think about what shouldn’t be there. Giving core design elements breathing room can amplify their visual impact. 6. Hang something. Many venues in Napa and Sonoma have arbors, wine racks, and other easy-to-hang-from anchor points. Hanging candles, lights, ribbon, signs, and chalkboards are all easy ways to personalize a space, add that romantic touch, and get the most visual impact for your efforts. 7. If you're not sure whether it will work, prototype it. Sketch it. Count it out. Visit a rental showroom. Make a floor plan. Make a sample. Whatever your strategy, getting the idea out of your head and into a physical form will ensure there are no surprises on the big day, and might even give you additional ideas. And don't be shy! As you can tell from my sketch below, you don't need to be an artist to use this trick—just doodle to get clear on your idea! Still feeling design-challenged? Consider hiring an event designer to help you flesh out your ideas, help you find all the needed materials and rentals, and handle all the styling on the big day. Or better yet, check out Amanda O’Shannessey’s recently launched workshop series, Styled.